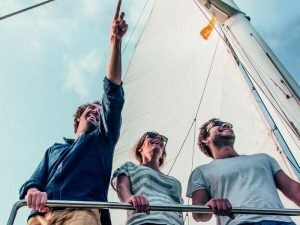 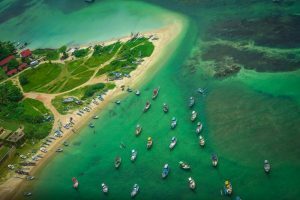 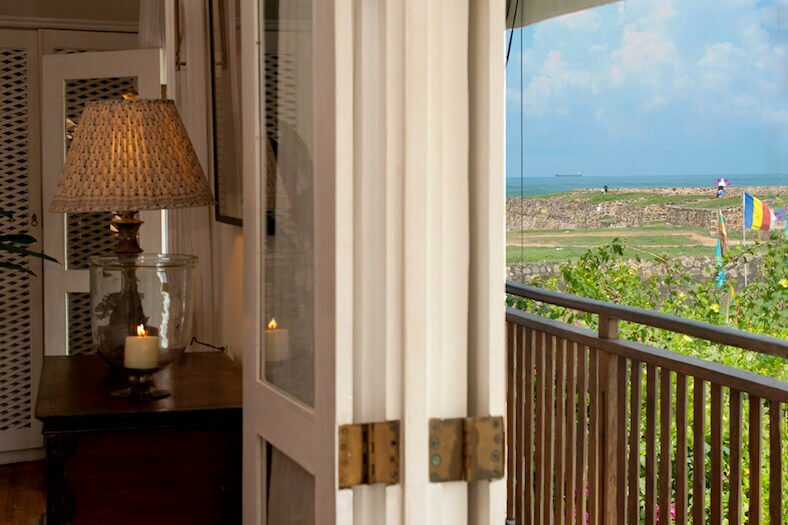 Ten to Fifteen minutes to nearby beaches. 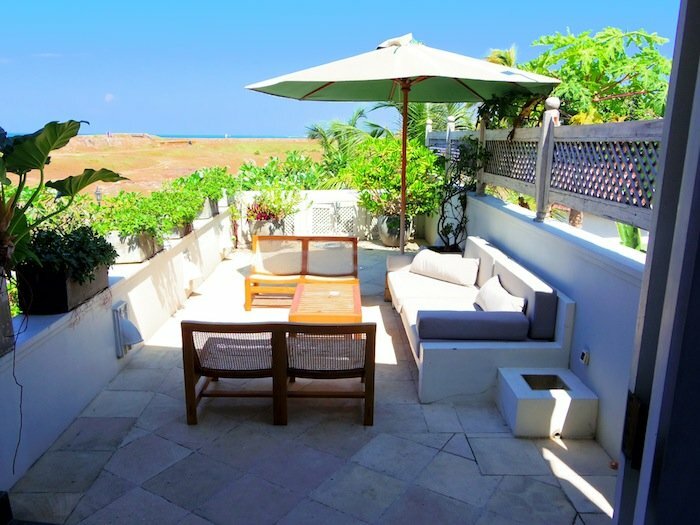 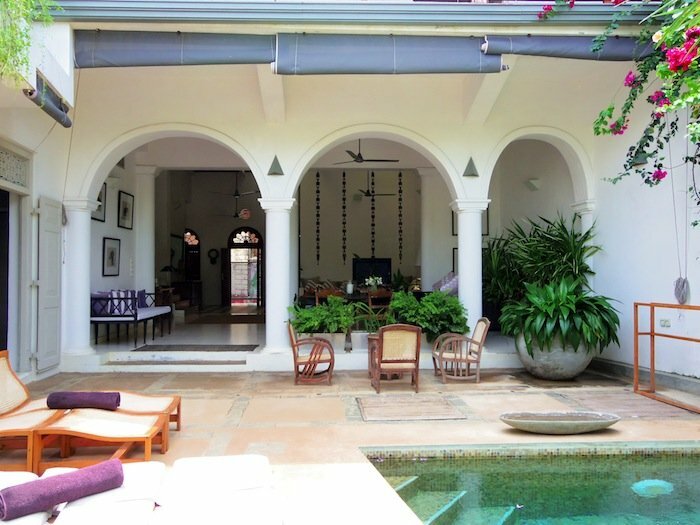 Ideal for cricket lovers who want to be near the Galle Cricket Stadium. 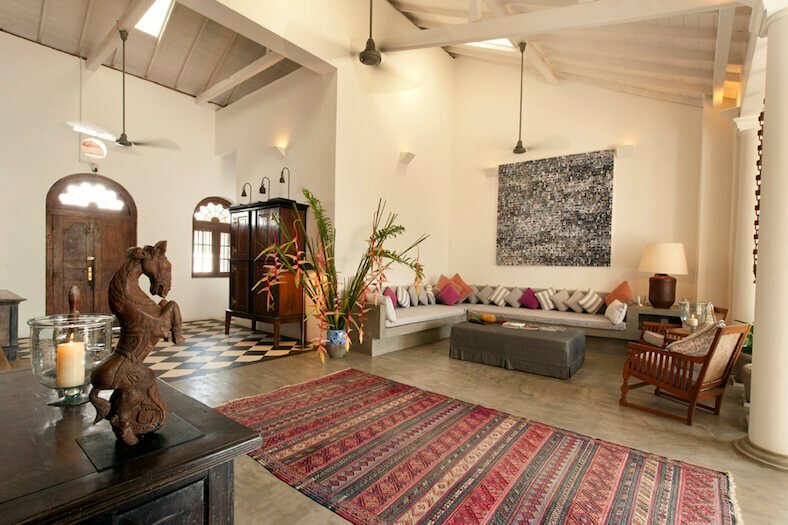 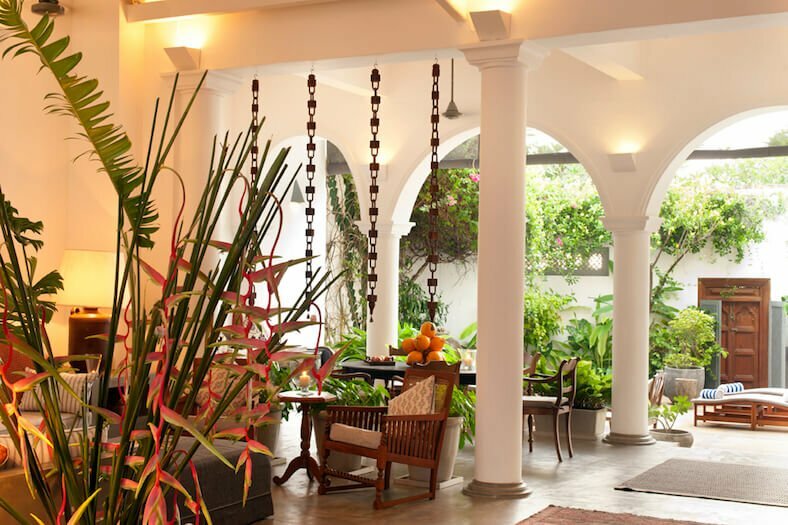 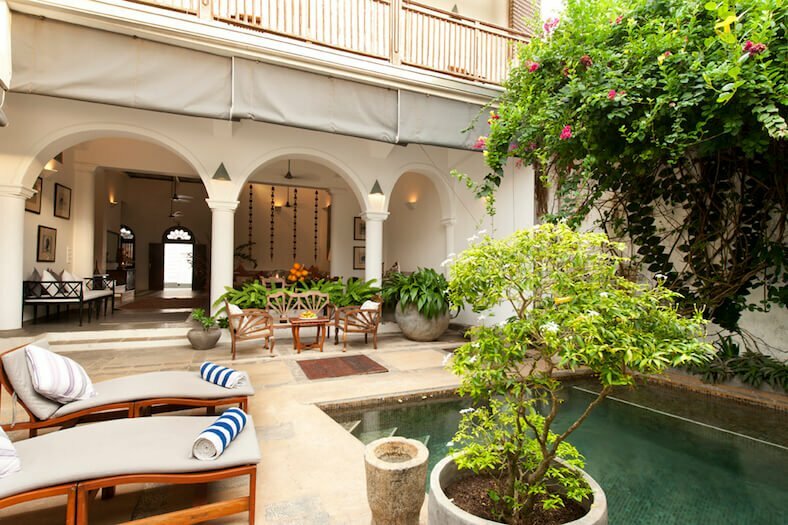 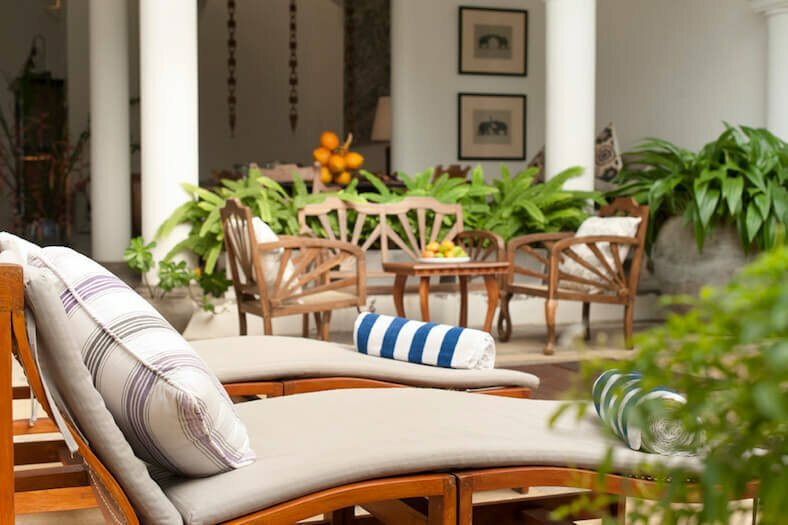 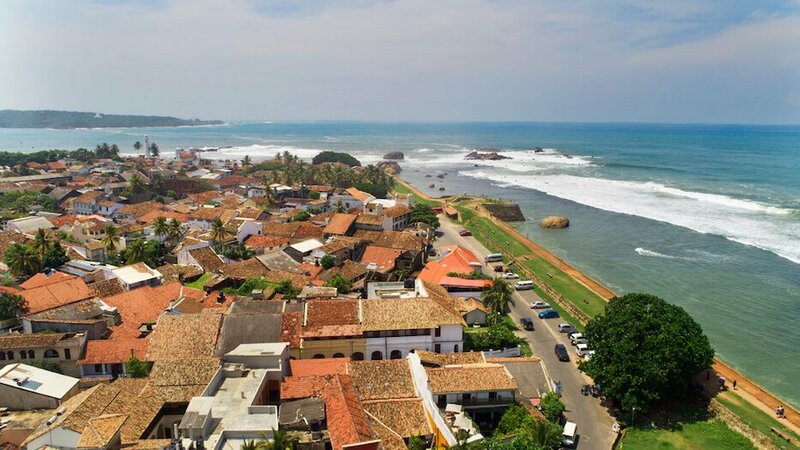 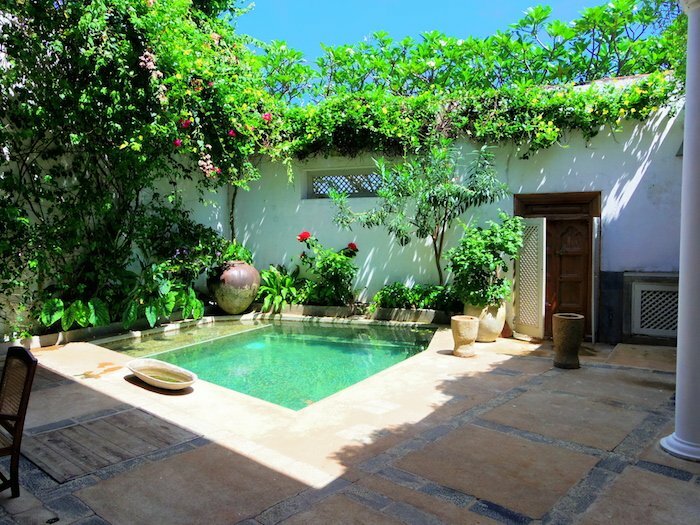 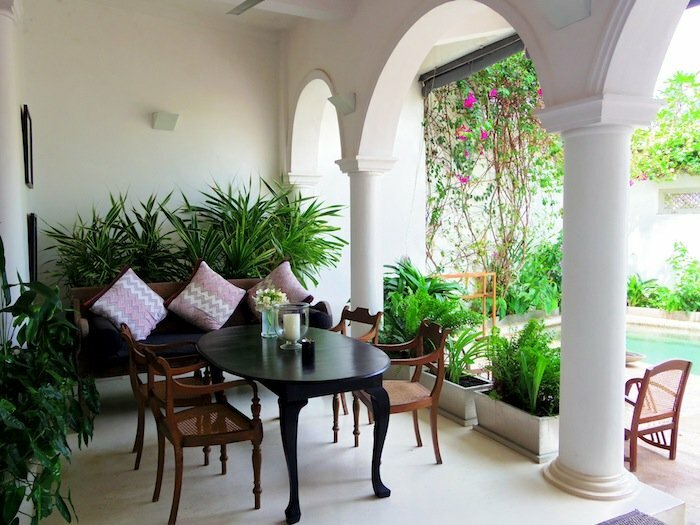 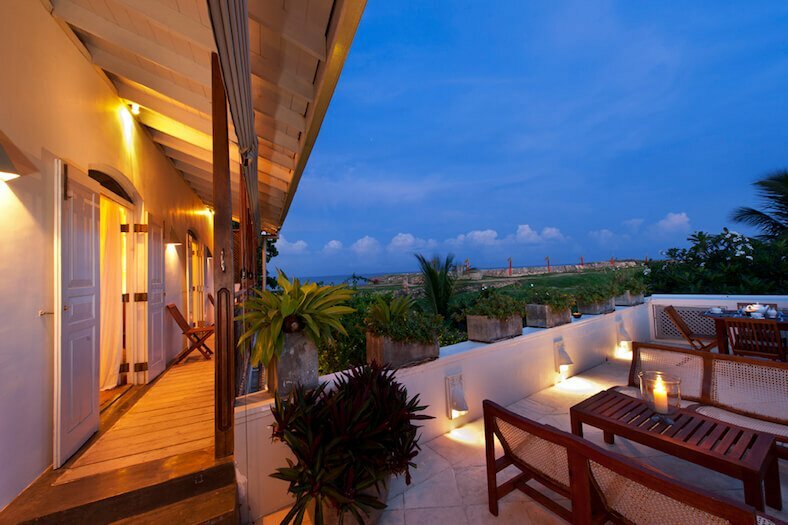 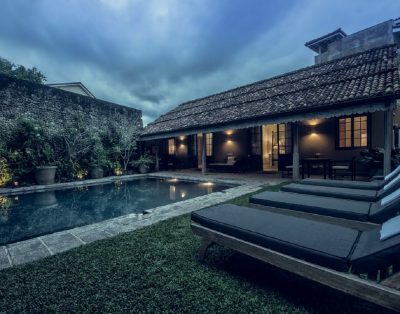 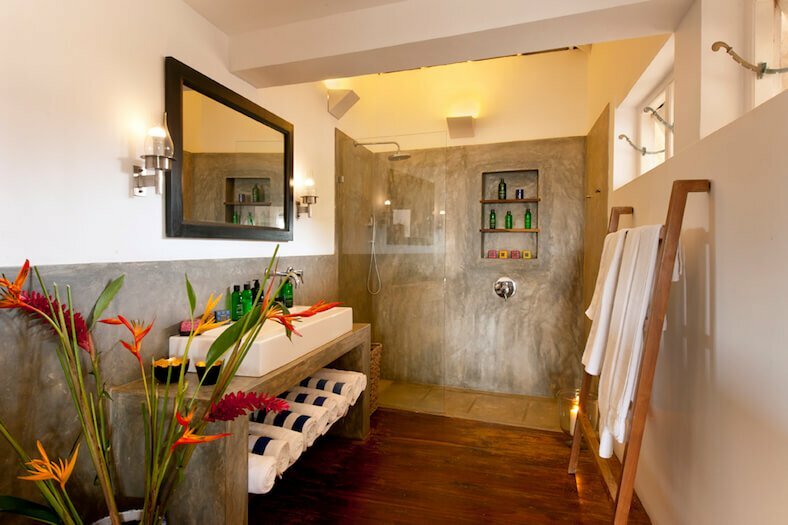 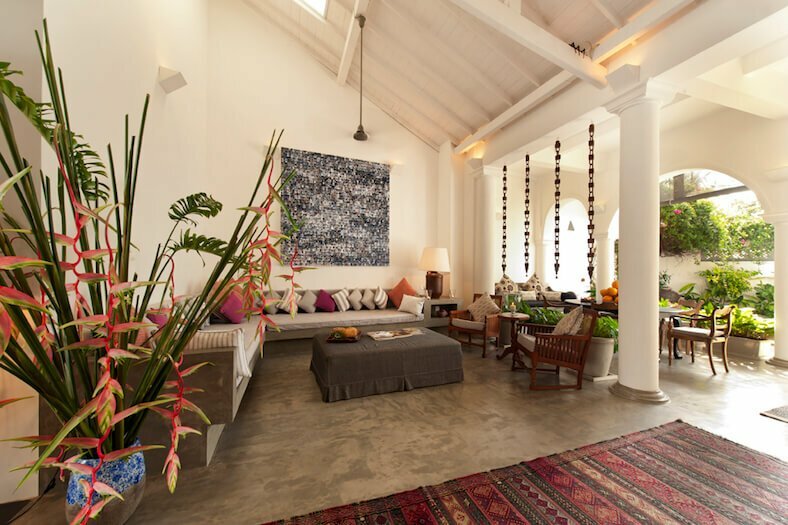 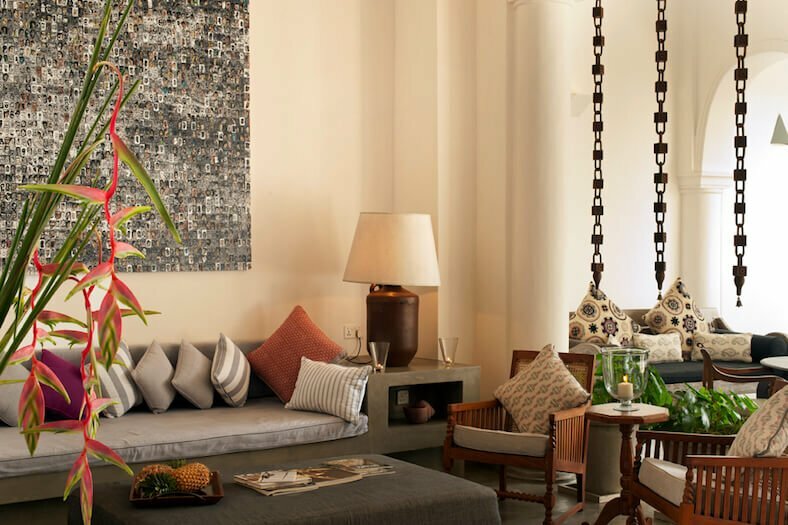 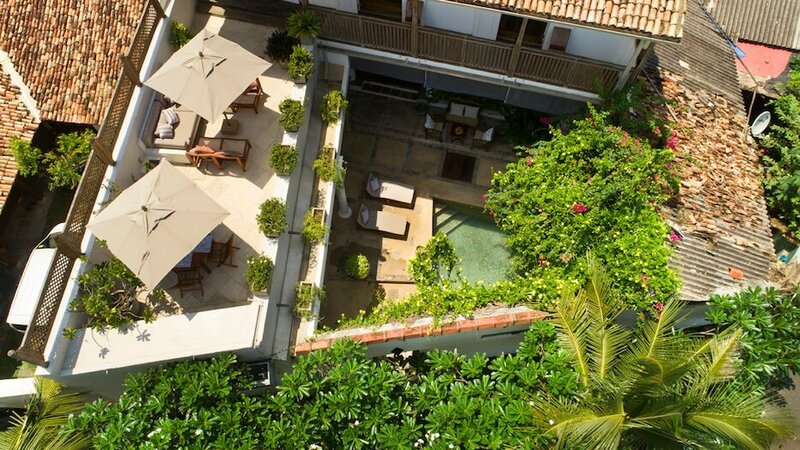 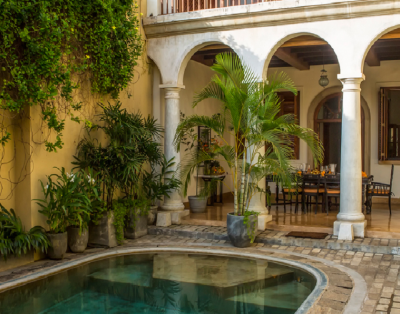 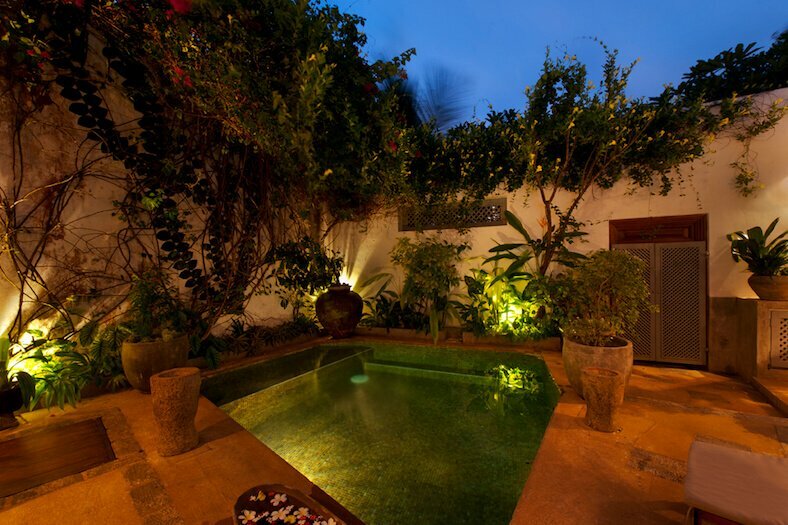 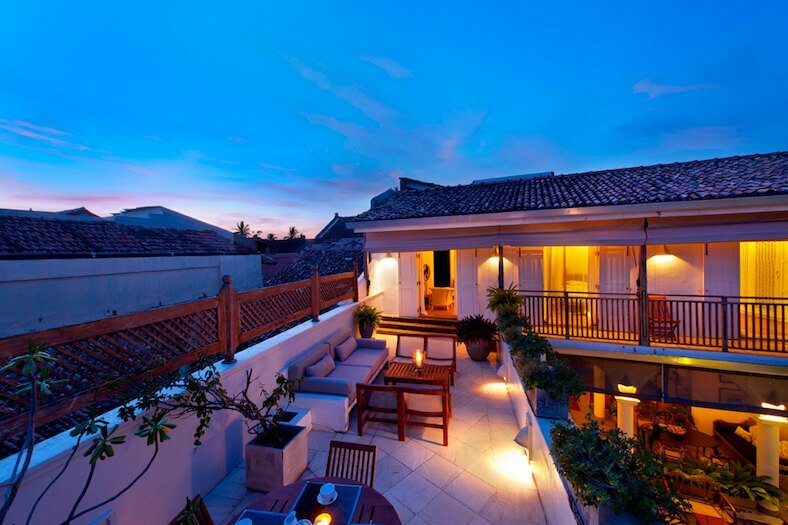 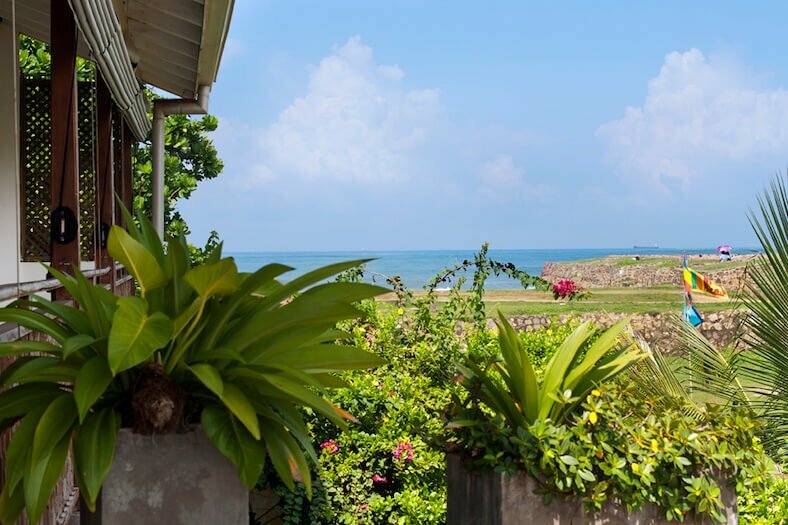 Once inside the walls of of this Galle Fort Villa in Sri Lanka, you have entered your private oasis. 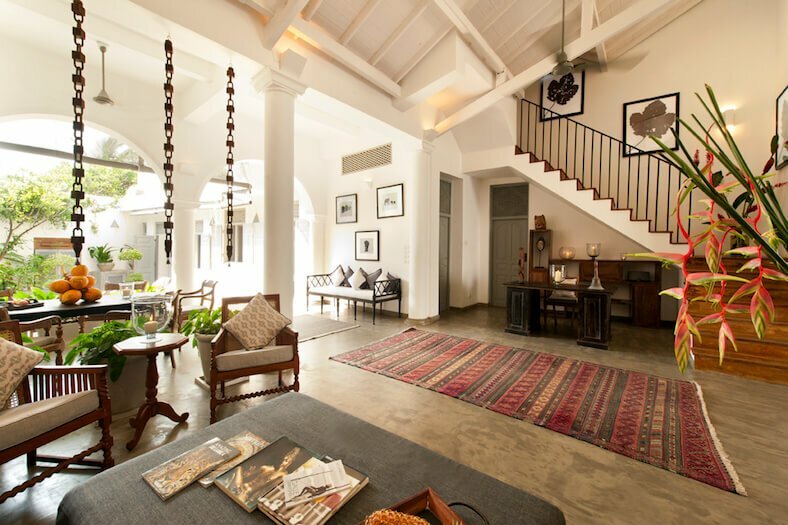 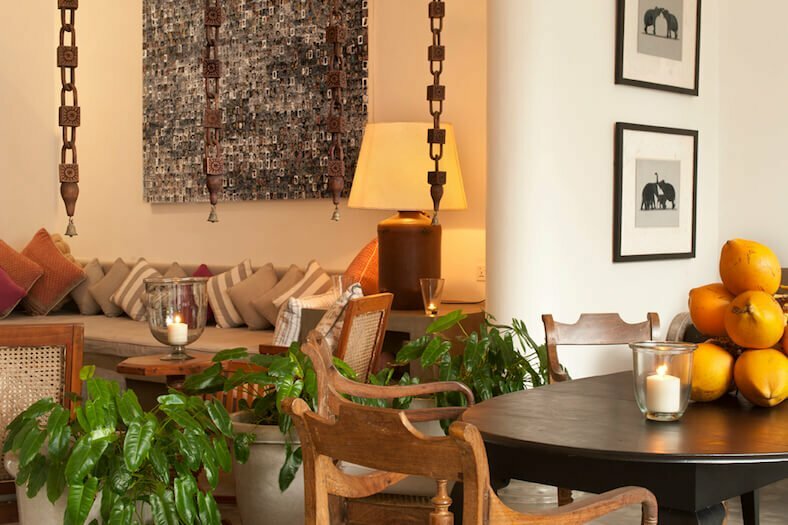 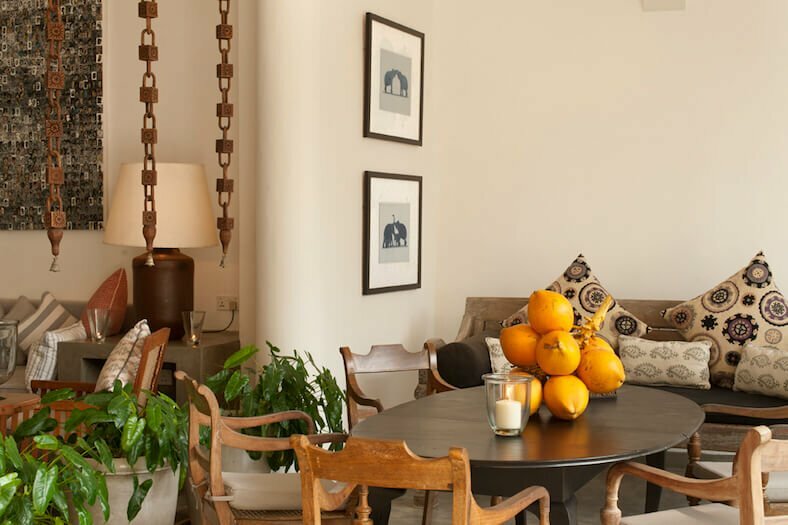 Experience old world charm with a modern twist. 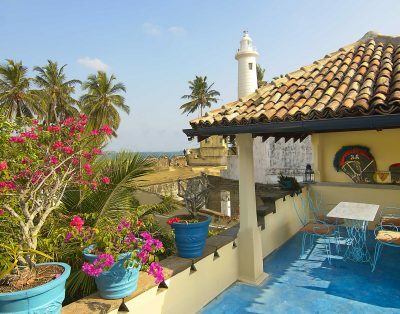 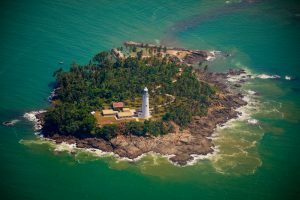 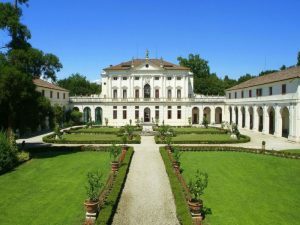 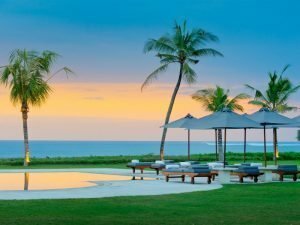 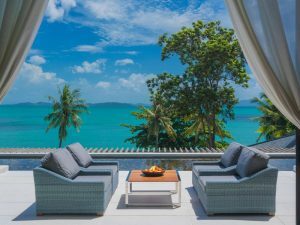 This beautiful, unique villa, situated within the Fort overlooks the ramparts and words cannot express the glorious sunset or the ocean view on display almost every day. 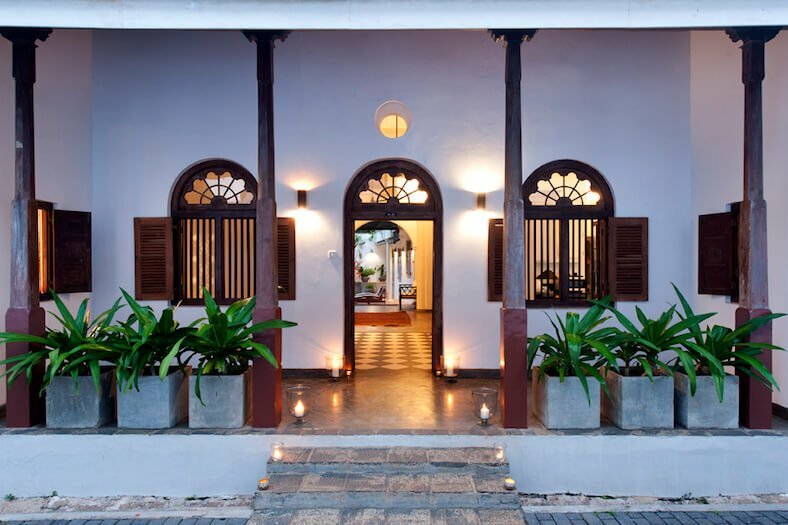 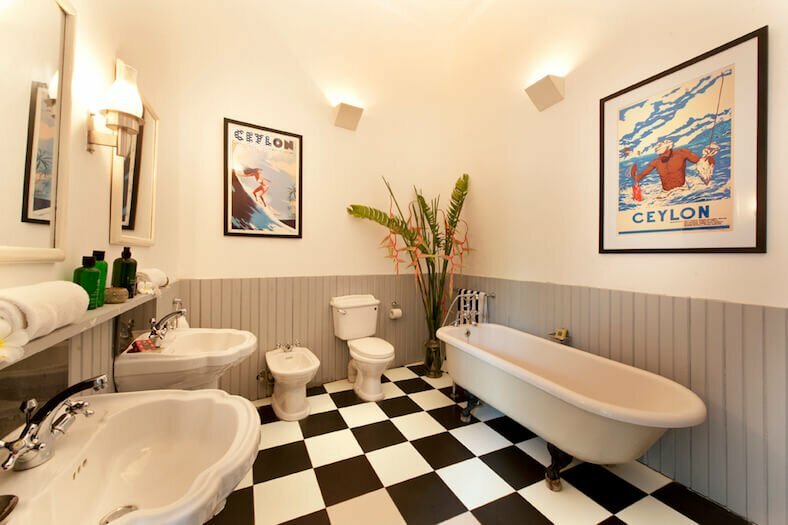 Step into a hall that has retained its original black and white checkered floor tiles: the Villa is a 17th Century ancient Portuguese home. 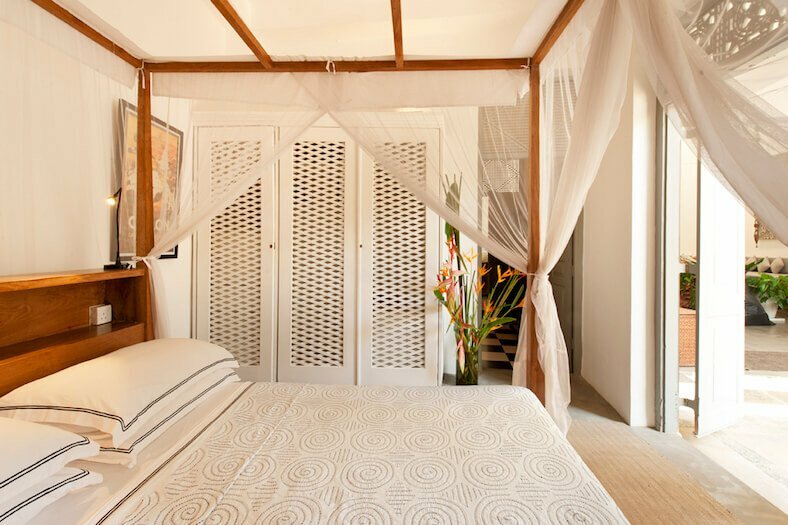 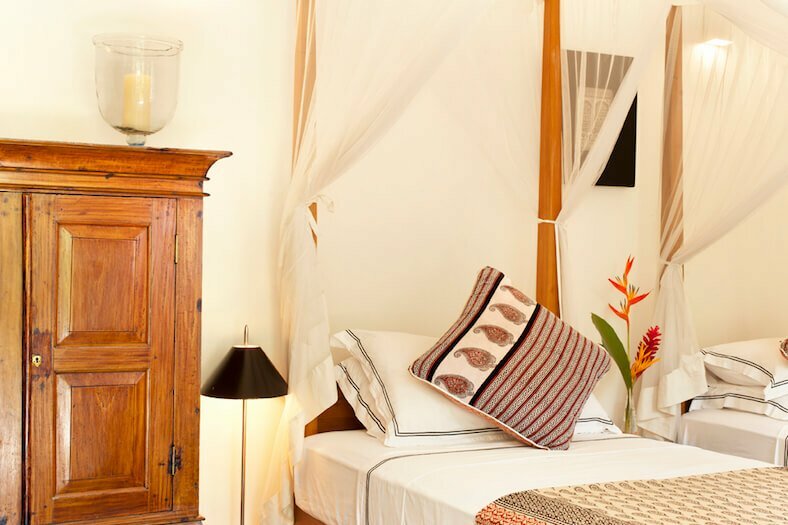 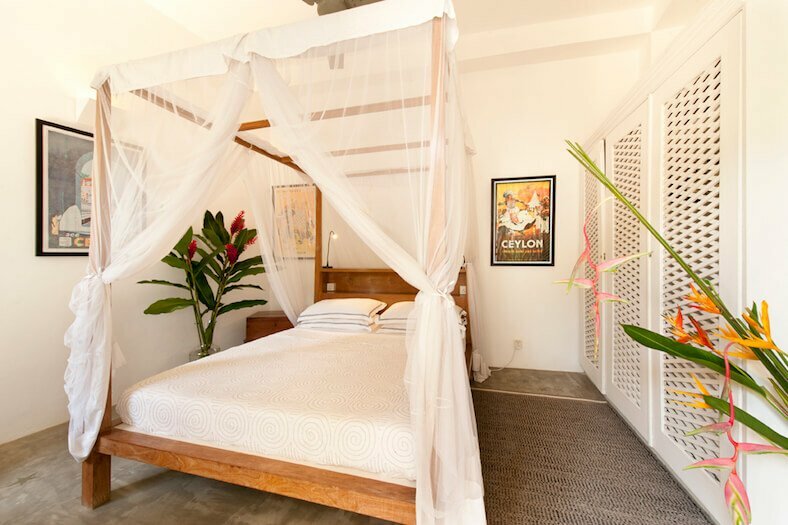 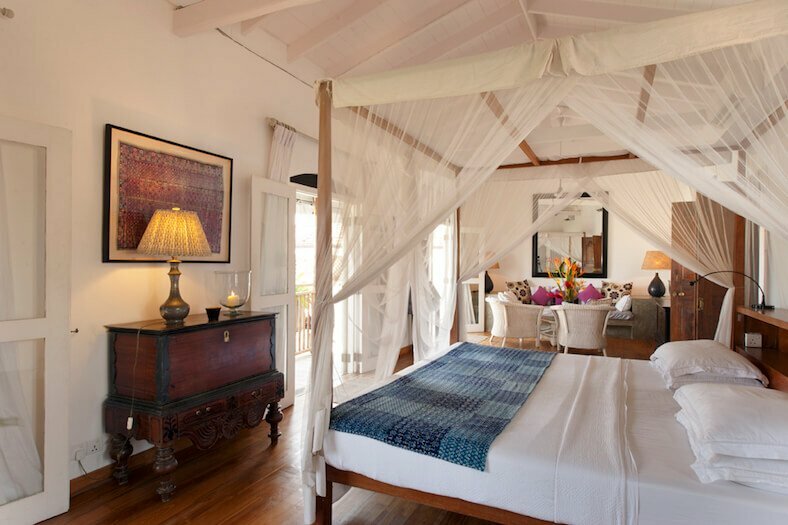 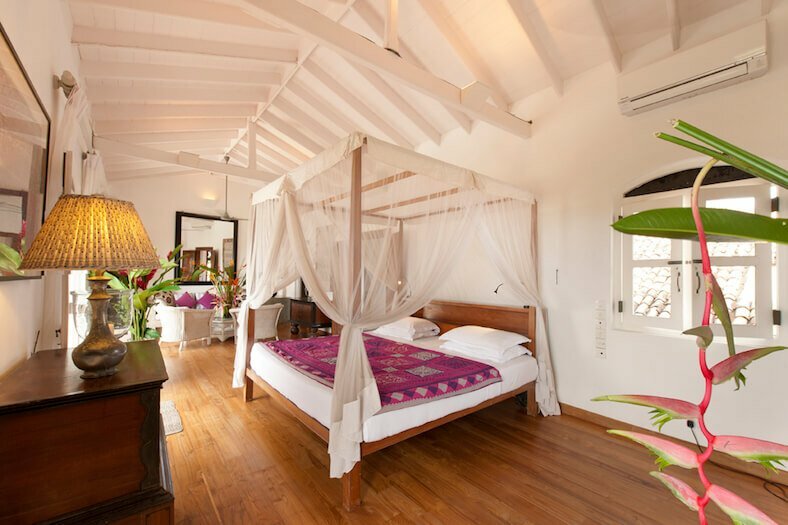 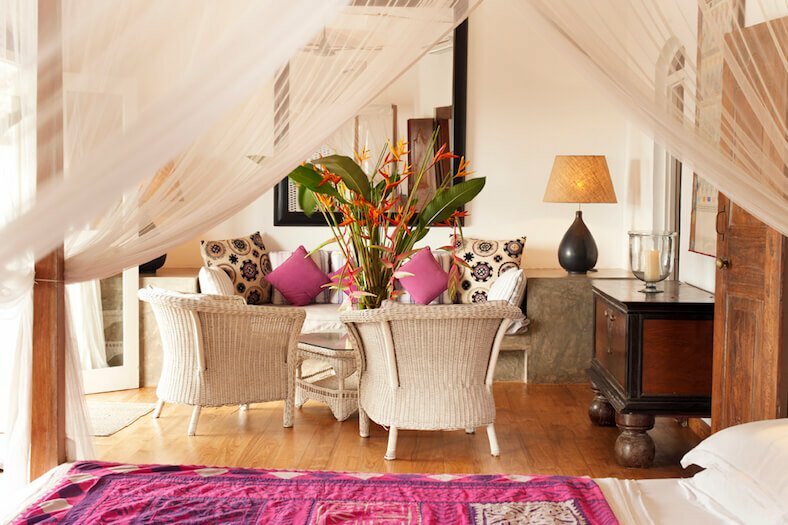 Master Suite: first floor, four-poster bed with ceiling fan and A/C: french windows leading to the terrace and offering unbeatable sunset views over the Indian Ocean and the ramparts. 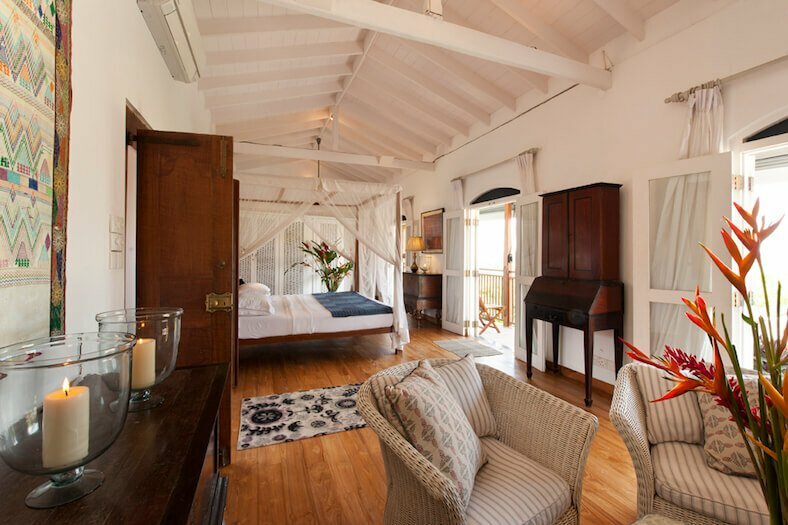 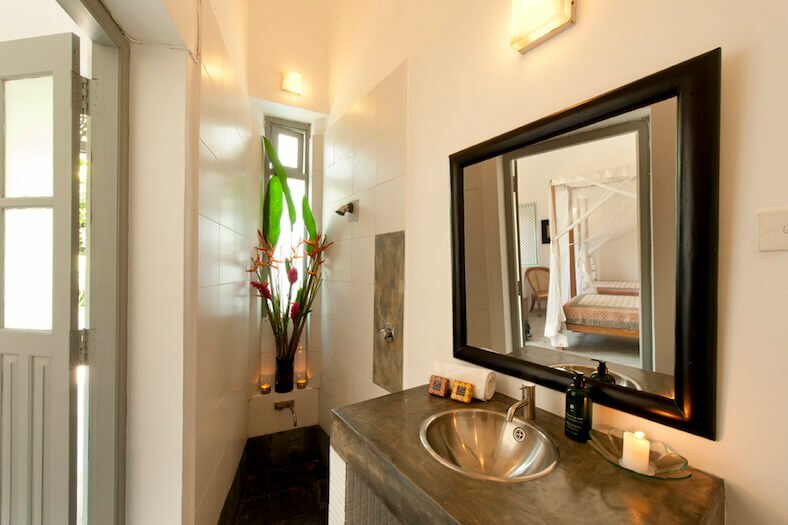 Second Suite: a Double Bedroom, four-poster beds, ceiling fan and A/C, on the ground floor facing the courtyard and plunge pool. 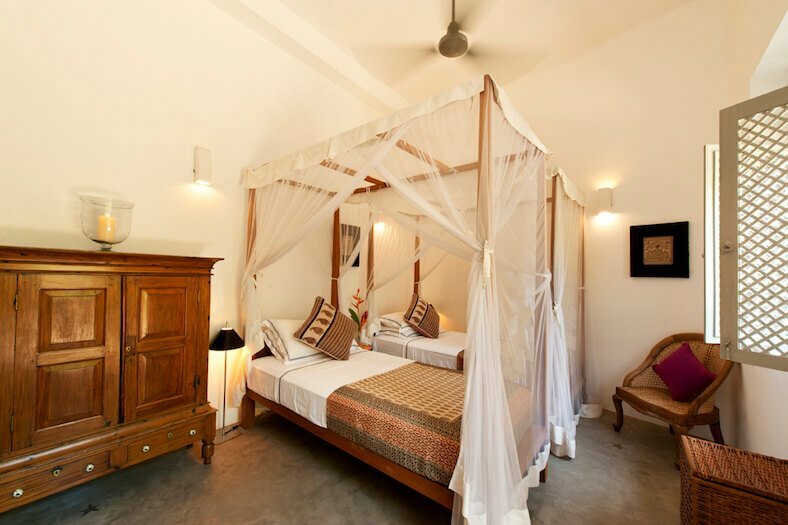 Twin bedroom: two beds, ceiling fan and A/C on the ground floor. 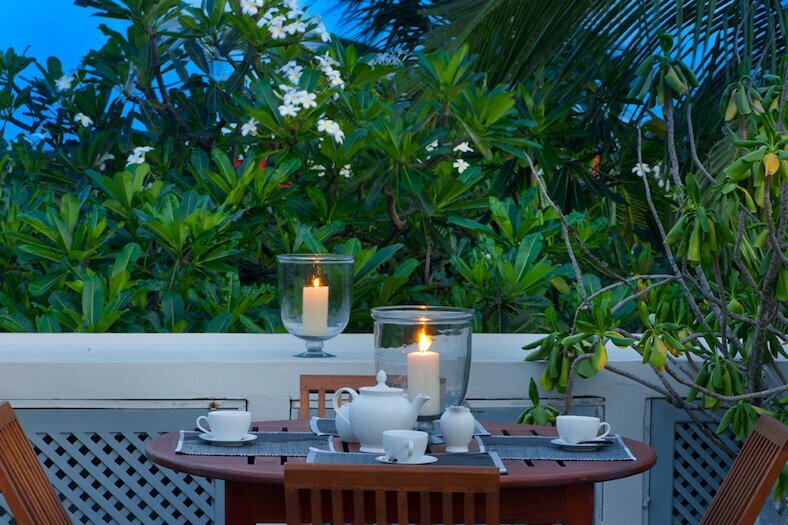 There is a staff of two people: one will help in the kitchen and prepare breakfast. 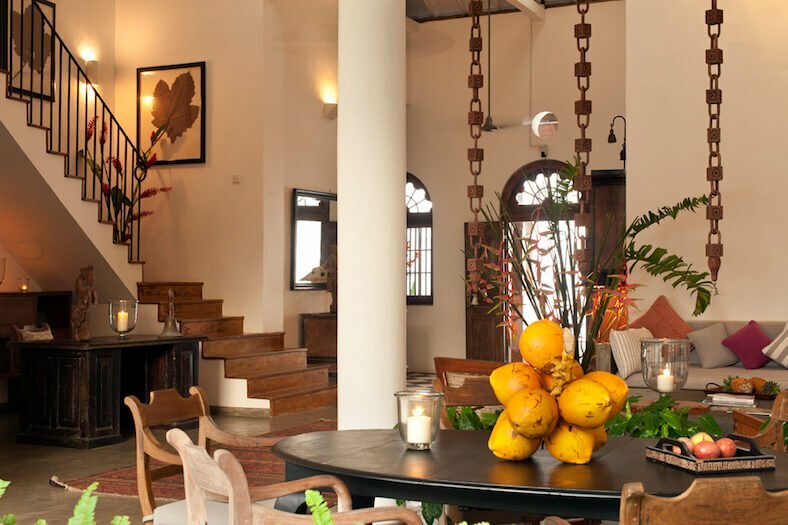 For other meals the villa is either given on self catering whilst the staff will do the shopping, chopping and cleaning up afterwards. 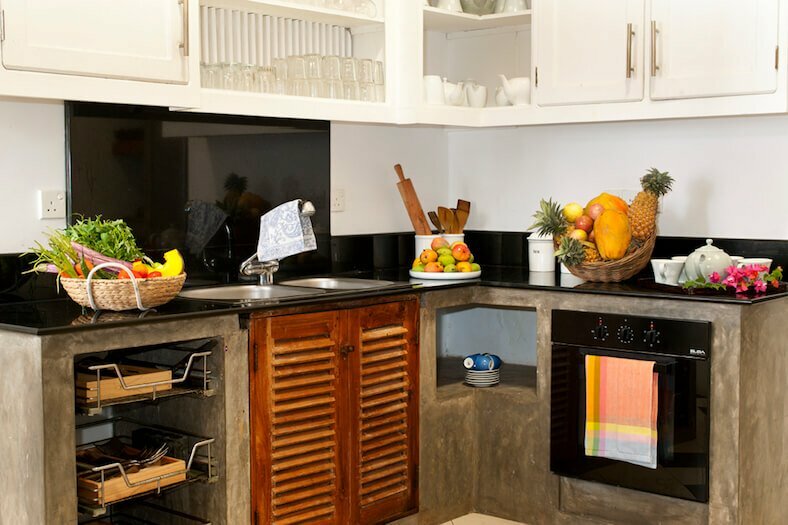 If you prefer to have the meals cooked for you, the Villa can arrange a chef or cook on an additional daily rate.